Photos: Way to go UH grads! Congratulations to all the University of Hawaiʻi graduates who got their degrees at UH fall 2018 commencement ceremonies. Robert Matsumura shared his appreciation for his UH Mānoa opportunities and experiences, and Janet Mock charged the graduates with telling their own stories. 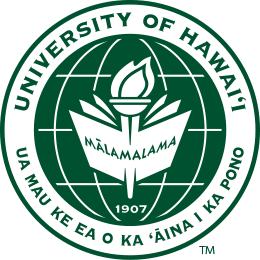 The University of Hawaiʻi celebrates fall 2018 commencement. This is the Shidler College of Business' 10th graduating class in Ho Chi Minh City and the 16th in Hanoi. The Maile Mentoring Bridge program students designed and wore traditional Hawaiian garments representing their individual scientific journeys. The first graduates of UH West Oʻahu were celebrated as Nā Lehua ʻŪla Scholars. Maximillian Soares Miehlstein took both high school and college classes, enabling him to graduate from high school and college where he earned an associate in arts degree in deaf studies and deaf education. Photos: We love our 2018 UH grads! Congratulations to all the University of Hawaiʻi graduates who got their degrees at UH spring 2018 commencement ceremonies. Kahele, who represents the greater Hilo area, delivered the keynote speech to a capacity crowd that included graduates, friends, family and Hawaiʻi CC faculty and staff. Students Leilani Carrero and Kira Makuta shared their remembrances, advice and thanks, and General (Ret.) Eric K. Shinseki urged graduates to find out what is truly worthwhile for themselves and their country.